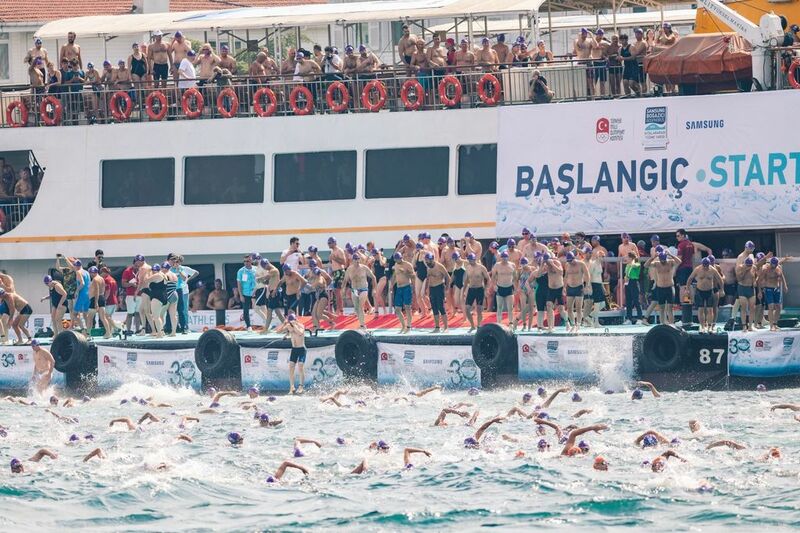 Swim from Asia to Europe in Istanbul’s historic Bosphorus River, closed only for the cross continental swim! Competition for places on this iconic swim is stronger than ever, so in 2019 SwimTrek will be running a ballot system to give as many people as possible a fair opportunity to secure a spot. 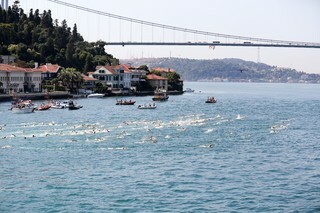 Please note that entering the ballot does not guarantee your place in the Bosphorus swim. In past years, we have been able to secure up to 300 places for our swimmers. We expect to have a similar number of places in 2019. However, we are unable to guarantee the exact number of places that will be available prior to the completion of the ballot process. To enter the ballot, all you need to do is book a place on our 2019 Bosphorus Cross-Continental Swim, pay your deposit, and complete all the required information on your profile within 48 hours. More detailed information is available under "Trip Info". 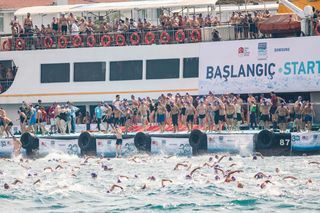 The Bosphorus Cross-Continental Swim is a significant open water swim and conditions during the race may be challenging. A good experience of swimming in all sea conditions is essential and you should have relevant open water knowledge to be confident if such conditions do arise. This trip is only available to be booked through SwimTrek as a complete package (i.e. including accommodation). Anyone who would like to take part in the race only must apply via the Turkish Olympic Committee directly. 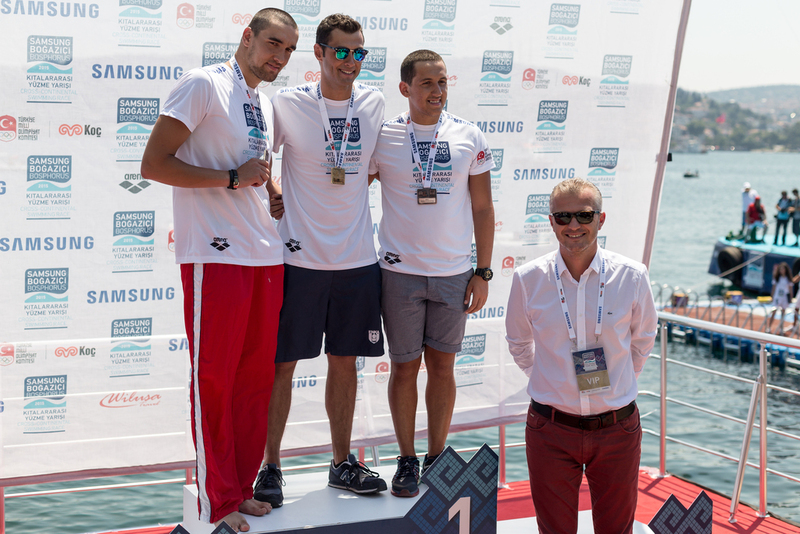 NOTE: Turkish passport holders are unable to register for this event through SwimTrek and must apply via the Turkish Olympic Committee directly. 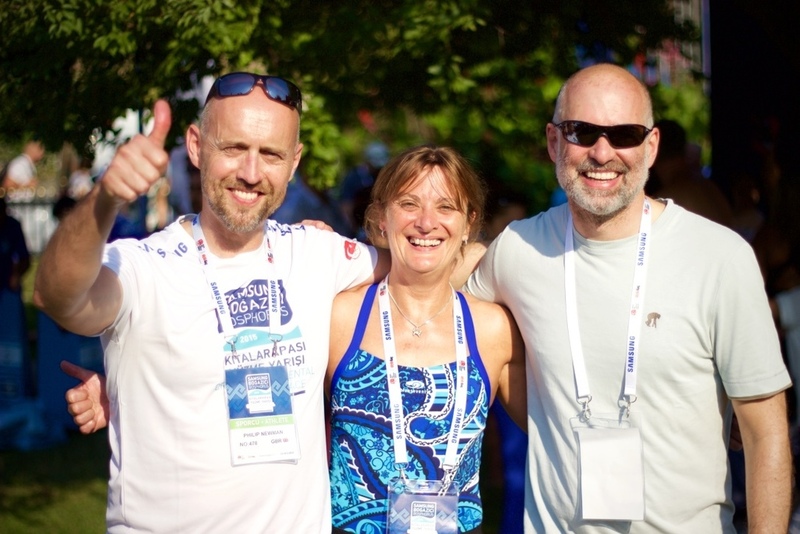 After checking in to your hotel, you’ll have the chance to meet up with your SwimTrek guides and fellow swimmers in the evening for welcome drinks and an informal catch-up to kick off your trip. In the morning we head to the race village to complete local registration in the event village. Please note that the race registration is compulsory. Failure to attend this will mean you will be unable to enter the swim. During race registration, all competitors will be given their swim hats, badges and timing chips in preparation for the swim. 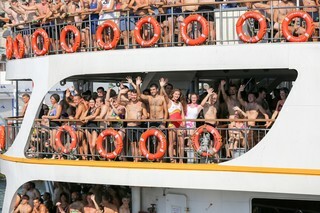 In the afternoon, we have an option to join the official boat tour of the race course, learning the importance of which route to follow during the swim. The boat tours are organised by the Turkish Olympic Committee and are open to both accredited swimmers and their family and friends. After this you will have the option of taking some time to relax in preparation for the following day's race or take this opportunity to book an optional sightseeing tour of Istanbul. After an early breakfast and check-out from our hotels, it’s time for the main event! At 08:00, all swimmers meet at Kurucesme Cemil Topuzlu Park ready to board the ferries that take us north to the race start point. 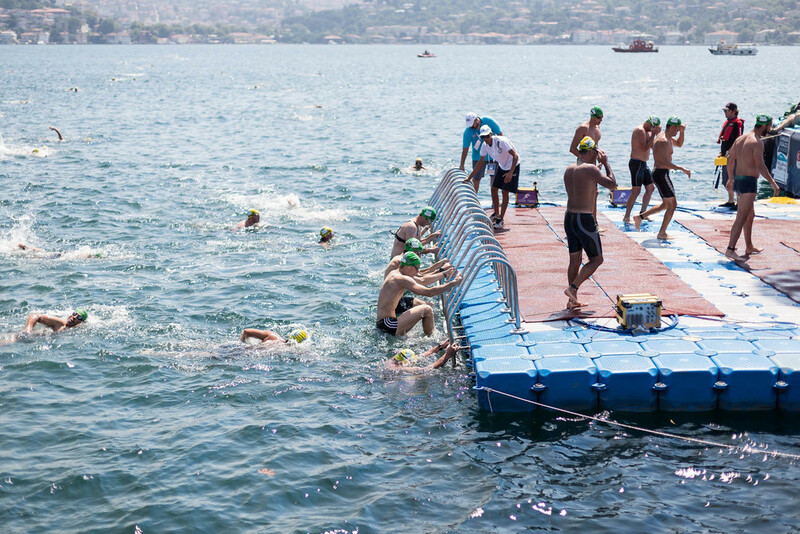 The race starts at around 10:00 and we swim down the 6½km course, taking in the sights of the city of Istanbul while having the swim of a lifetime! 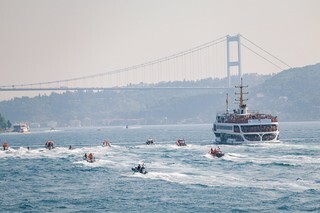 The race and awards ceremony is expected to be over by 13:00, giving us time to catch an evening flight or stay on to enjoy the hospitality of Istanbul. 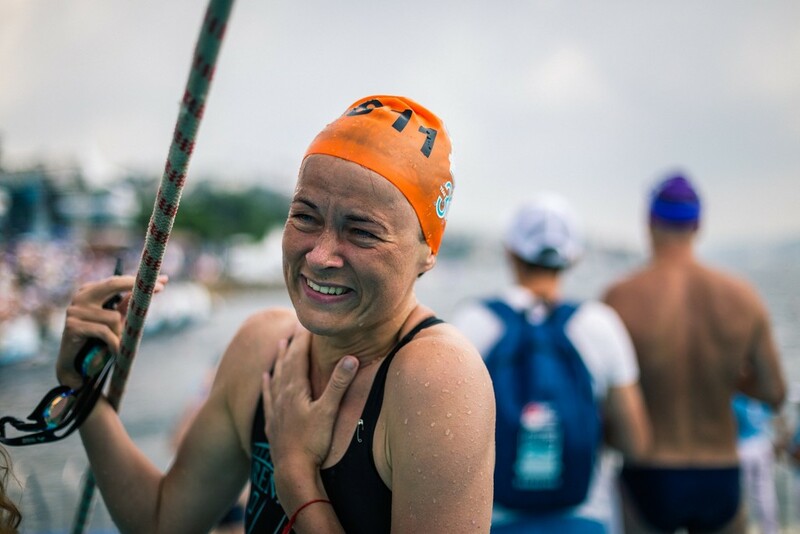 The SwimTrek ballot is a system whereby all swimmers who book to take part in the Bosphorus event via SwimTrek will be placed into a draw for a chance to be allocated one of the limited available places in the race. To complete your booking, a deposit of 40% of your total booking price is required. Once you’ve made your booking, you must complete the required profile information in your SwimTrek account within 48 hours. Without this information, we will be unable to enter you into the ballot and your booking may be cancelled. To complete the required profile information, log in to your SwimTrek account and fill out the ‘My Social Profile’, ‘My Travel Details’, ‘My Health Details’ and ‘My Contact Details’ sections. If you need help to complete the required profile information, please contact the SwimTrek office. The ballot will open on Thursday 15 November 2018 at 10:00 (GMT). The ballot will close on Friday 21 December 2018 at 15:00 (GMT). 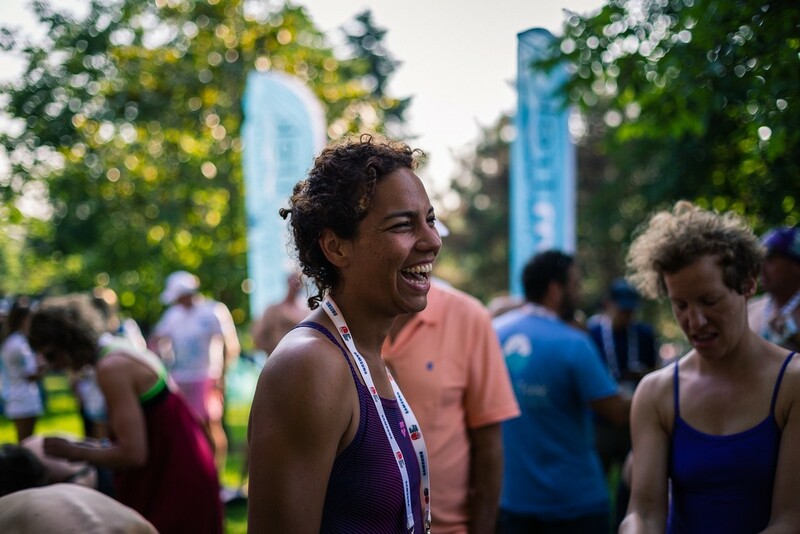 All guests who enter into the SwimTrek ballot will be notified about whether they have been successful in obtaining a place in the Bosphorus event between Tuesday 8 January 2019 and Friday 8 February 2019. If I’m successful in the ballot, does that mean that my place in the event is guaranteed? Almost. Once we’ve let you know that you’ve been successful in the ballot, we will send you your official race application form via email. You’ll then need to print out the form, complete it and post the original (i.e. not a scan or photocopy) back to us within six weeks (no later than Monday 25 March 2019). Once you return your application form to us, we’ll check to make sure that it has been completed correctly and then we’ll send you an email to confirm your place in the event you so that you can begin making plans for your trip to Turkey. When should I book my flights and confirm other travel plans? IMPORTANT: Please do not book any flights or make other travel plans before you receive an email from SwimTrek to confirm that your application form has been completed correctly and your place in the event has been confirmed. What happens if I’m unsuccessful in the ballot? If you are unsuccessful in the ballot, we will notify you no later than Friday 8 February 2019. Your full deposit amount will then be refunded to your original payment method within seven working days. What happens if I’m successful in the ballot but then change my mind about taking part in the event? Can I transfer my place in the event to someone else or get a refund? Unfortunately, once you have been notified that you’ve been successful in the ballot, your place in the event is non-transferrable and your deposit is non-refundable. For further information about our refund policy, please refer to our Terms and Conditions. What if I’m travelling as part of a group? While every effort will be made to secure places in the event for all members of your group, we cannot guarantee that this will be possible. All members of the group who are successful in the ballot will be notified between Tuesday 8 January 2019 and Friday 8 February 2019. Their place in the event will be non-transferrable and their deposit will be non-refundable. If a member of your group is not successful in the ballot, they will be notified no later than Friday 8 February 2019 and their deposit will be refunded within seven working days. Where can I get more information about the required profile information that I’ll need to provide to enter the ballot and the application form that I’ll need to complete if I’m successful in the ballot? For further information about the required profile information and the official Bosphorus application form, please refer to the 'Important Information' section below. Once you’ve made your booking, you must complete the required profile information in your SwimTrek account within 48 hours. Without this information, we will be unable to enter you into the ballot and your booking may be cancelled. To complete the required profile information, log in to your SwimTrek account and fill out the ‘My Social Profile’, ‘My Travel Details’, ‘My Health Details’ and ‘My Contact Details’ sections. If you need help to complete the required profile information, please contact the SwimTrek office. 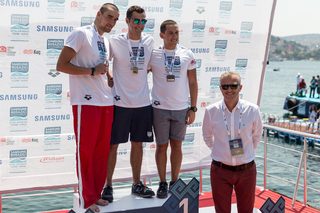 IMPORTANT: Please note that the first name and surname on your SwimTrek account must match those in your passport in order to take part in the Bosphorus event. If these names do not match, you may not be able to complete the official race registration in Istanbul prior to the event. If you are successful in the SwimTrek ballot, we will send you your official race application form which you’ll need to complete and send back to us within six weeks (no later than Monday 25 March 2019), otherwise we will not be able to confirm your entry into the event. As part of your application form, you will need to have a medical examination by a certified medical practitioner. Please note that it is your responsibility to book and pay for your medical appointment with sufficient time to complete your form and return it to us before the agreed deadline. Once you return your application form to us, we’ll check to make sure that it has been completed correctly and then we’ll send you an email to confirm your place in the event you so that you can begin making plans for your trip to Turkey. 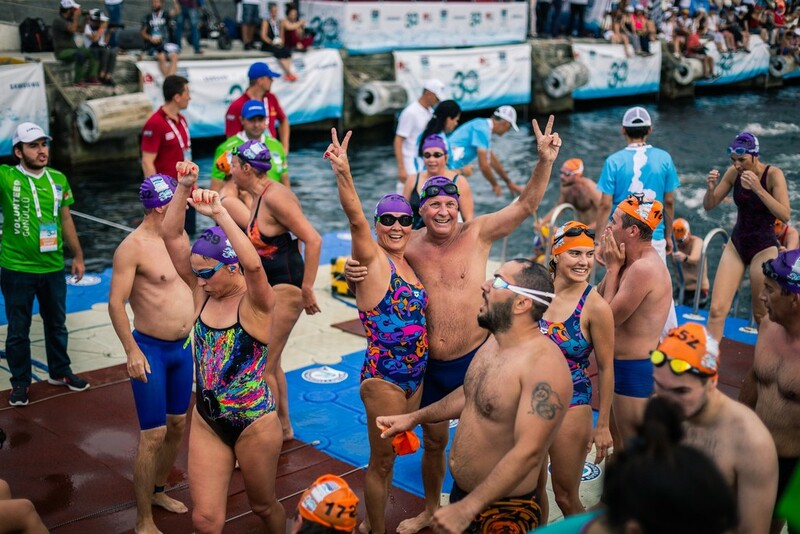 IMPORTANT: A qualified swim coach will be required to sign off your registration form in order to confirm that you are ‘Fit for participation’ in the Bosphorus swim. A copy of this coach’s qualification (e.g. certificate from national governing body) will also need to be submitted with your official paperwork in order to register for the event. If you do not have a swim coach, it is your responsibility to enquire with local pools or swimming clubs in order to find a suitable person to assist with this process. NOTE: All of the above information is required by the Turkish Olympic Committee and no exceptions can be made. The only photocopies which are accepted are the copy of your passport and your coach’s qualification. All other documents, including your official application form, must be original. NOTE: Due to the nature of the event and the mild water temperature, wetsuits are not allowed. Jewellery and watches, of any kind, are also strictly prohibited during the race. Compulsory swim hats and ankle bands with timing chips will be given out by the event organisers. You should bring a swim costume, goggles and towel. The world’s most concentrated shipping lane is closed to all traffic as we participate in this annual race. You can either race to win it or just go along at your own pace. You should note, however, that conditions during the race may be challenging. Therefore, we advise that you should have relevant open water experience and be confident if such conditions do arise. 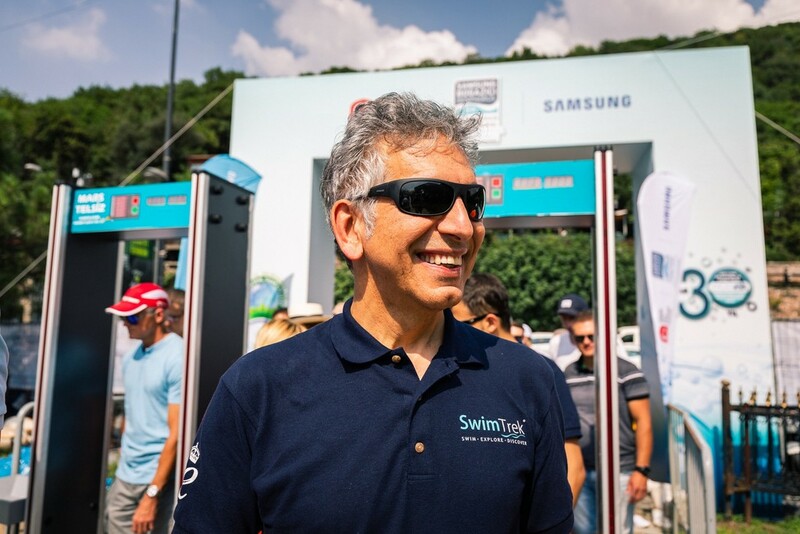 Please be aware that while SwimTrek organise the tour part of your package, the Turkish Olympic Committee are the event organisers and are fully responsible for race safety decisions and logistics. There is a time limit of two hours to complete the 6½ km course. 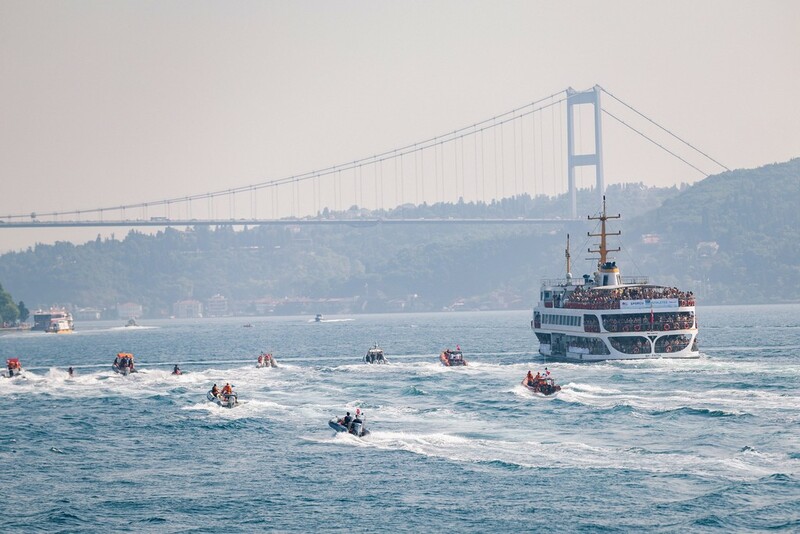 The Turkish Coastguard will remove swimmers from the water if they do not finish the crossing within this time. 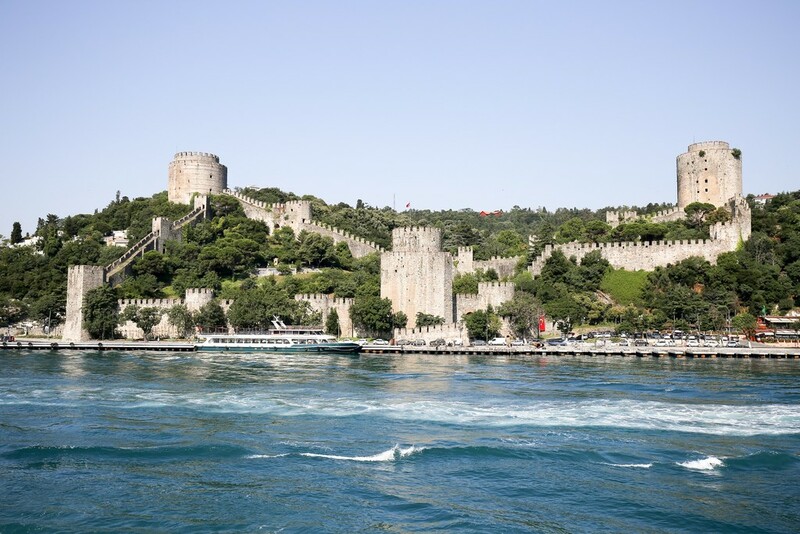 An interesting feature of the Bosphorus strait is its curious water flow. 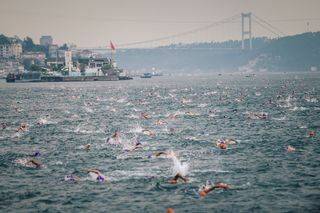 On the surface, the Bosphorus usually flows from the Black Sea towards the Sea of Marmara (carrying our Bosphorus swimmers along with it). However, at greater depths, the current flows in the opposite direction, carrying huge volumes of water back towards the Black Sea. Swimming in the sea is a fantastic experience, however you should be aware that certain marine life such as sea lice, jellyfish and sea urchins could be present during the swim. If you suffer from anaphylaxis, please consult the office prior to booking. *Please note that temperatures are based on 2016 and should be used as a guide only. For safety reasons, the event organisers rely on decent weather conditions in order to carry out the swim. In the event of bad weather and the swim being cancelled, there are no reserve/alternative times or days available. 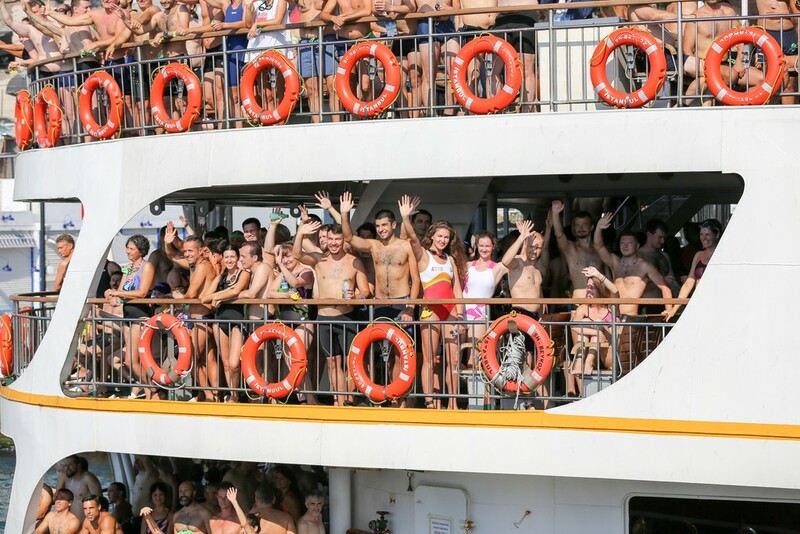 We provide transfers between your accommodation and the race village for registration and the boat tour on Saturday 20 July, as well as to and from the race meeting point on Sunday 21 July. Istanbul is a popular travel destination and there are a wide range of scheduled flights operating to the city’s two main airports, Istanbul Ataturk Airport and Sabiha Gokcen International Airport, from all around the world. The city will be open a third airport in 2019, Istanbul New Airport, to replace Istanbul Ataturk, with flights here ceasing at the end of the year. It is possible to book either a taxi or private transfer from either location into the city. To search for available flights into the two major airports in Istanbul, please visit Skyscanner. Istanbul’s new airport, Istanbul Airport will replace Istanbul Atatürk Airport as the city’s International Airport from March 2019. All flights originally operating through Atatürk should be operating through the new Istanbul Airport of which is located north of Atatürk Airport on the European side. If you would like to book a private transfer from Istanbul to your hotel, this can be arranged via our partners in Turkey; Wilusa Travel. Taxis are readily available from both Istanbul Ataturk and Sabiha Gocken Airports to Istanbul city centre for approximately €15 and €25 respectively. The cheapest way to get from from Istanbul Ataturk Airport to the centre of Istanbul is by using the city’s well-renowned metro and tram system. 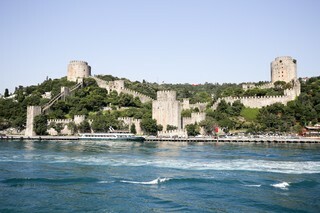 For further information, timetables and prices, please visit: Turkey Travel Planner. Your SwimTrek package includes two nights’ accommodation on Friday 19 July and Saturday 20 July at one of the below hotels which are located around the Sisli area of Istanbul. Our accommodation is based on twin-share rooms with en-suite facilities. There are a limited number of single supplement rooms which can be reserved during the booking process, subject to availability. If you would like to extend your stay in Istanbul and need to book additional nights’ accommodation before or after your trip, please either contact our partners at Wilusa Travel or get in touch with the hotels directly using the links above. Please note that when booking extra nights, it may not be possible to reserve the same room and you may be required to check out and check in to a different room before or after your SwimTrek trip. There are a limited number of supporters tickets available which include shared accommodation with a race participant and all SwimTrek transfers. Please note that, on the day of the event, supporters will be at the finish line and will not be able to see the start of the race live, however, several big screens at the finish point will broadcast the race start for supporters to see. You should bring extra money with you to cover such items as dinners, drinks, entertainment, souvenirs, etc. The local currency in Turkey is Turkish Lira (TL). Cash machines, bars and restaurants are plentiful in Istanbul city centre. In addition to the race and accommodation, those that would like to take advantage of a guided city tour of Istanbul can book this through our partners in Turkey (at an additional cost). Please visit Wilusa Travel for more information on prices and availability. Please note that, while Wi-Fi is available at all SwimTrek hotels, as Turkey is not part of the European Union, extra roaming charges will apply for European guests who choose to use a SIM card from their home country while they are in Turkey. Local SIM cards are available for purchase upon arrival at both major airports in Istanbul, as well as throughout the city. Turkey is not part of the European Union. Non-residents of Turkey require a full passport to enter the country, which should be valid for six months beyond the expected length of stay. Citizens of most countries require a visa to enter Turkey, however, some there are some exceptions For a full list of visa requirements by country, please click here. If you do require a visa to enter Turkey, you can apply here. IMPORTANT: From 29 October 2018, self service e-Visa kiosks and Wi-Fi areas where visitors can apply for an e-Visa on arrival will no longer be available in Turkish airports; you must apply for your e-Visa before you travel. Please note that visa regulations are subject to change and we advise that you check your own visa requirements prior to travel. For comprehensive health information for people travelling to Turkey, including all recommended and required vaccinations, please click here. Please note that this information is subject to change and you should re-check this site regularly prior to your trip. 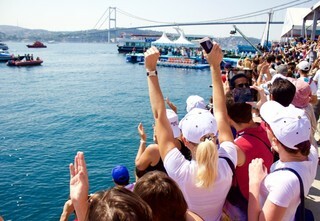 SwimTrek Guide loves the Turkish race events! 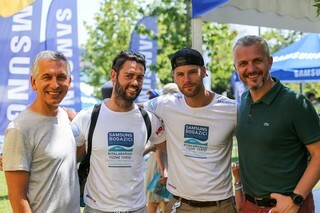 The SwimTrek 2018 Bosphorus contingent! Can't fault the trip at all. So many incredible people sharing a love for one sport, in an incredible location. Went away wanting more and feeling very inspired. 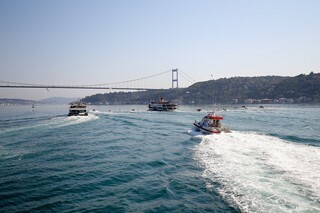 Thoroughly enjoyed participating in the Bosphorus Cross Continental Race with Swim Trek. It was an outstanding experience and I highly recommend it! It was one of the most iconic experiences of my 66 year old life and I would recommend to all those who enjoy swimming to give it a place on their bucket list. 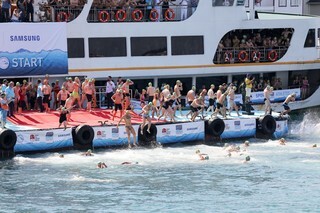 Outstanding experience to swim in such an epic race. Would not have done it without SwimTrek. 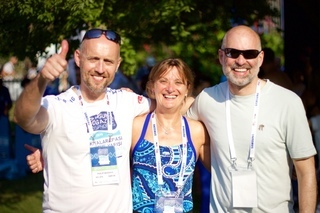 Great swim, great location, brilliant organisation and wonderful people. It was an incredible weekend - a wonderful swim in an iconic location, with some really lovely people who will remain friends for years to come. Thanks SwimTrek for making it happen! My second Bosphorus Swim with Swimtrek was even more relaxed enjoyable than the first and I can highly recommend a repeat trip to all swimtrekkers. Thanks for your interest in joining us on this trip! 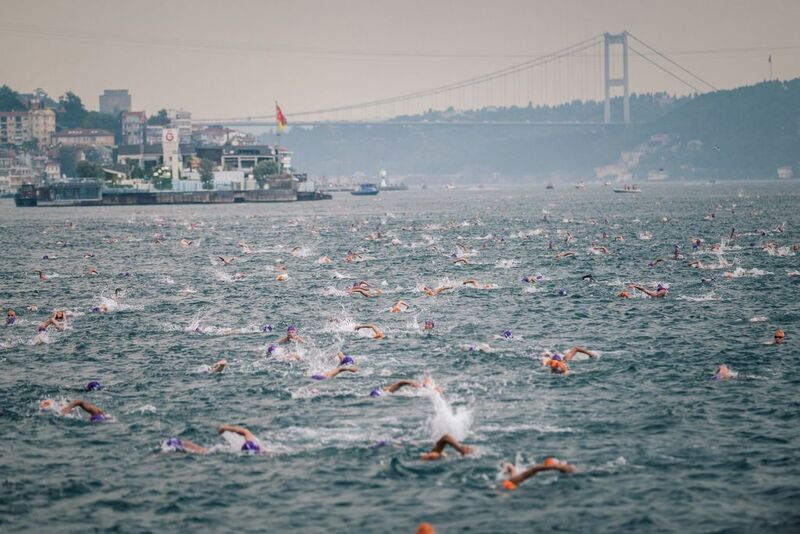 Entries to the ballot for the 2019 Bosphorus Cross-Continental Swim have now closed. To join the mailing list for the 2020 event, please click here.